At least 36 people were killed after a passenger ferry with 173 passengers and 16 crew capsized in rough waters in the central Philippines today, a disaster monitoring official said. 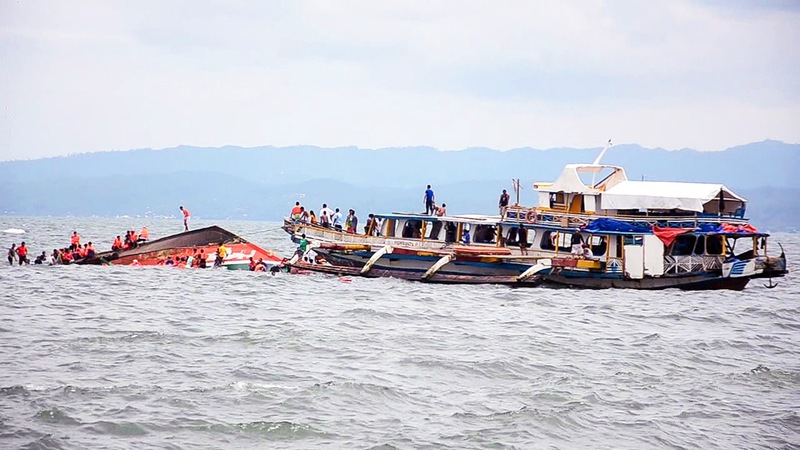 Local radio station Radyo Inquirer said today that rescue operations were under way after the 33-tonne, wooden-hulled MV Kim Nirvana overturned in Ormoc, in the Visayas region, about 950 kilometres southeast of Manila. Coast guard spokesman Armand Balilo said 127 people have been rescued. Local radio station Radyo Inquirer said the coast guard had taken the captain of the ferry into custody. The authorities were puzzled how the accident had happened in relatively calm waters, after initial reports of choppy seas, and discounted speculation that it was overloaded. “There wasn’t any storm or any gale. We’re trying to find out [why it happened],” said a local official leading rescue operations. He said the boat’s outriggers apparently broke in the accident, and added it was possible the crew had committed a navigational error.